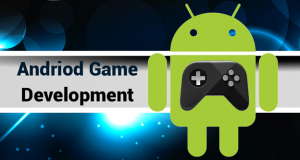 With Android devices becoming faster and cheaper, Android Game Development is a frontier that you cannot afford to miss out on. The Android is one of the best mobile phone platforms out there. With an open API and development platform and a complete turnkey solutions for distribution of the applications it makes it an ideal platform for game development. One of the major challenges of android game development is the varied devices with a wide variety of screen sizes. Our Android game developers have managed to tackle these issues with expertise and deliver games that are entertaining and addictive to end users. Omkarsoft has explored the full potential of Android platform for delivering world-class Android games. Our expertise game designers and programmers give shape for ideas and concepts that you have in mind. We have created android games which have earned millions of dollars with billions of active Android gamers. Your android game idea can make you millionaire too! We have talented and passionate game developers who are aware of the in and out of the gaming. We are the best Android game development company in India. The android games that we develop are high quality feature rich and deliver best performance with the android compatible devices. We work with big names in the business as well as cater to needs of an individual looking to make his mark in gaming industry. Many entrepreneurs, companies and also niche business groups are using the gaming devices to further their own interests. We understand how the top performing games on the Play Store move and our Android Game Development team makes an effort to constantly play these games to find out what makes them tick and the level of engagement that they offer users. Expert Android Game Development Team at Omkarsoft have helped many clients to move horizontally and also vertically with their successful projects. We develop all kinds of Android Games Genres.